I picked up this wonderfully soft cashmere sweater by Banana Republic last fall while going through the piles of stuff that local university students throw out when they move to new apartments. Besides being extravagantly comfortable, it is scandalously low cut. Maybe that’s why the previous owner threw it out. 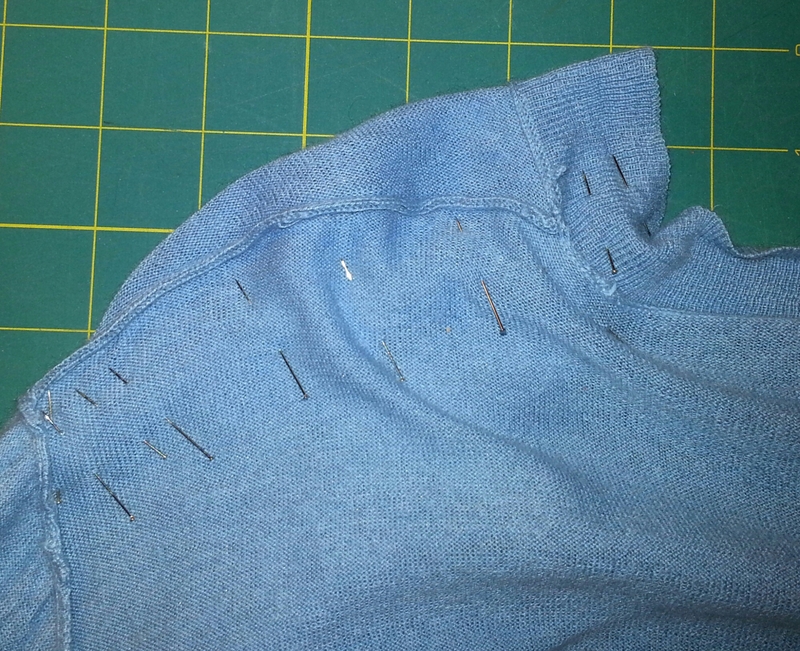 Then I sewed just below the existing seam line to create a new seam. 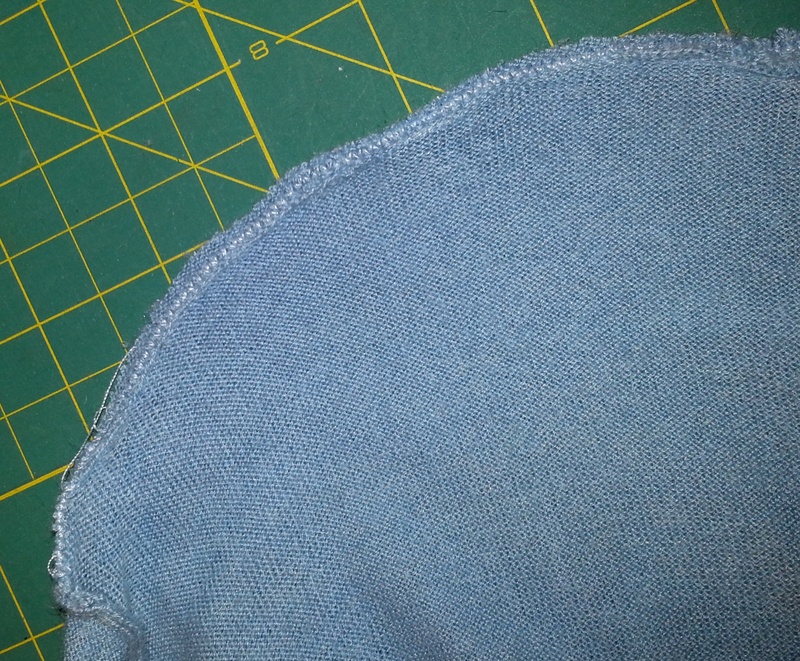 It was important to sew below the original seam so that there wouldn’t be two seams on the shoulder when I was done. 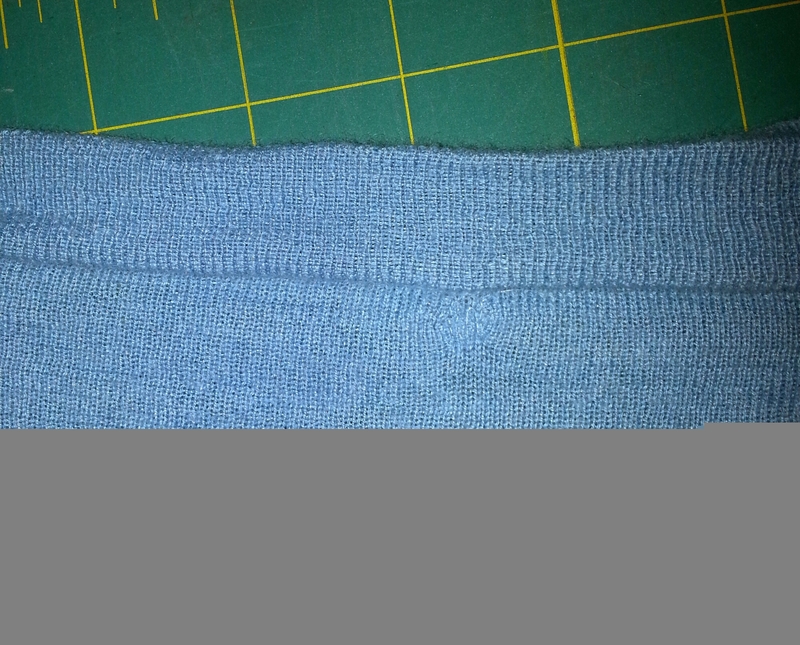 I cut off the excess fabric and reinforced the seam with zigzag stitching to prevent unraveling. 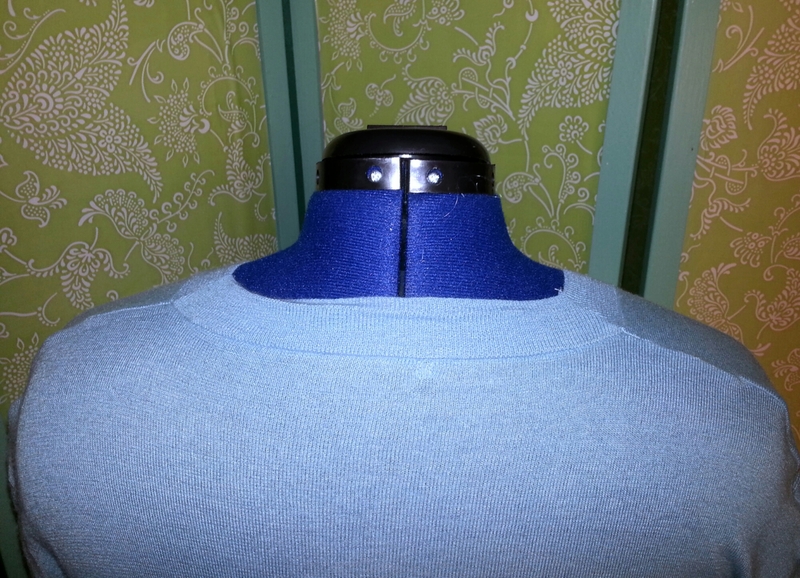 And the new, non-cleavage-baring neckline. 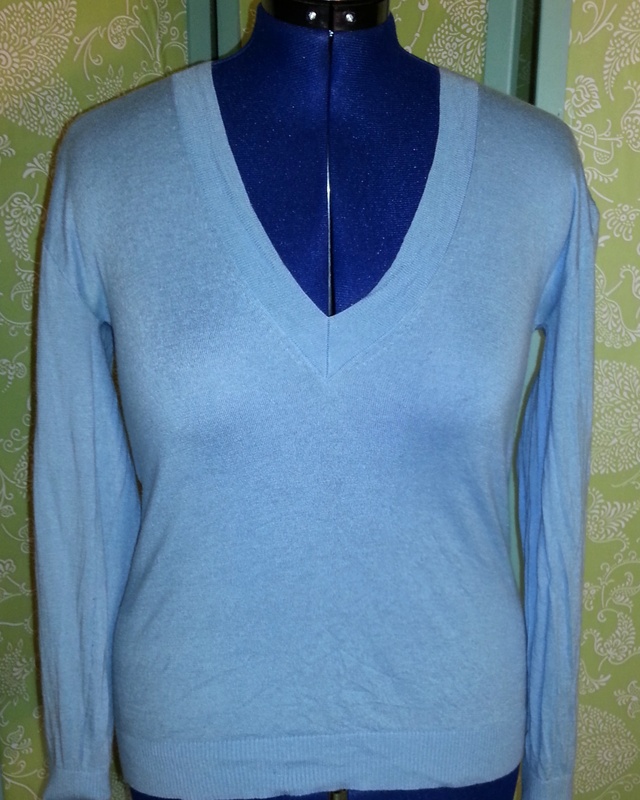 Looks pretty good, but the sweater is awfully wrinkly from being in the “to sew” pile for weeks on end. 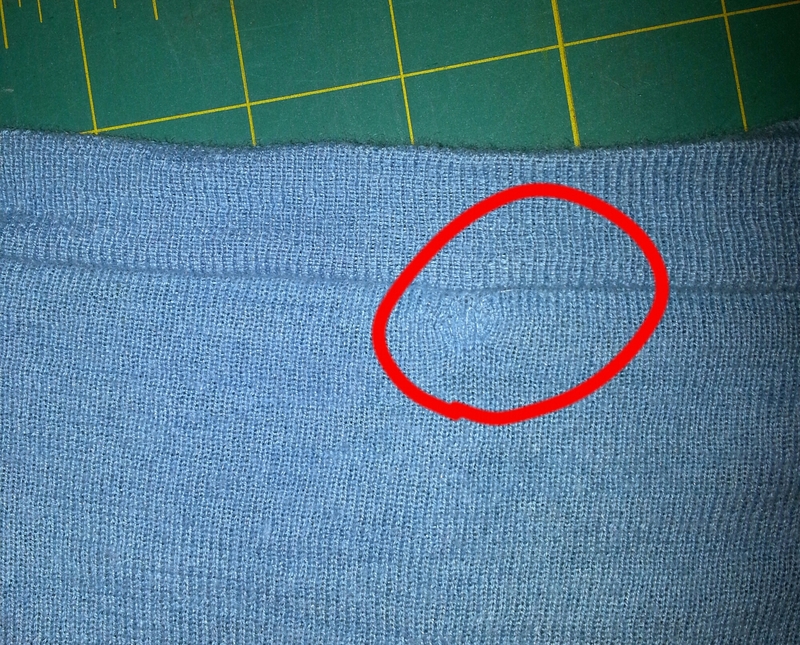 There was a small hole in the back of the sweater just below the neckline from where I’d previously removed the itchy tag. Top: scrap fabric. Bottom: sweater hole. 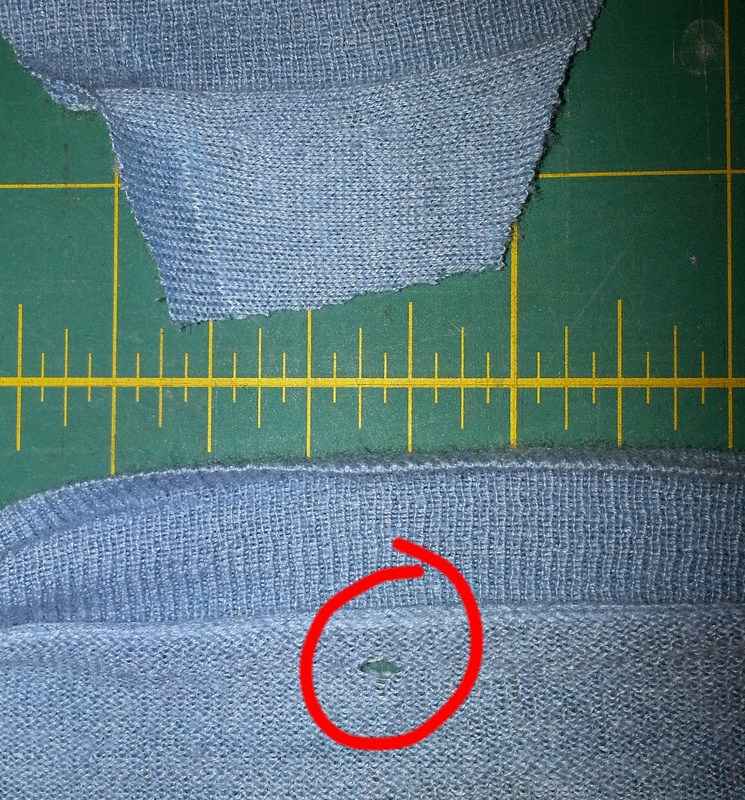 I took one of the pieces of excess fabric from the shoulder seam and sewed it to the inside of the sweater with clear monofilament thread using the preprogrammed darning stitch on my Pfaff sewing machine. Can you find the repair? Yay! 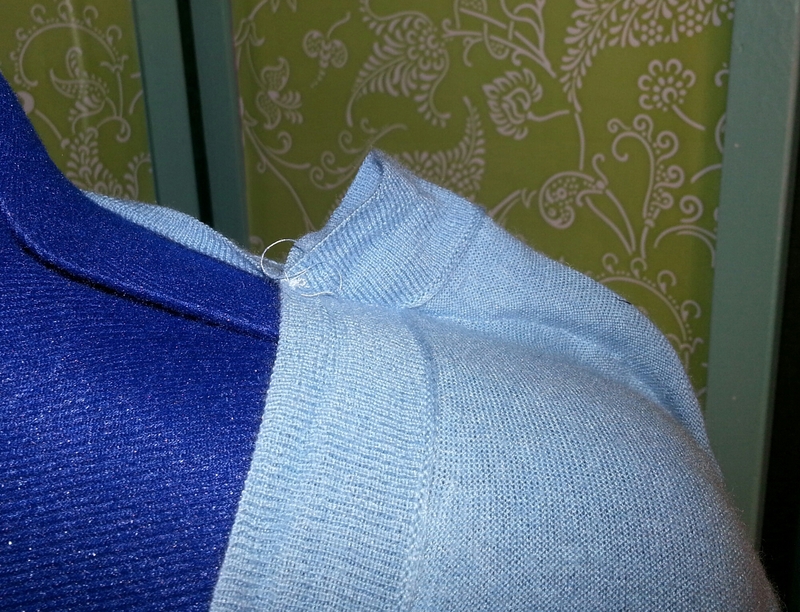 I have a nice, non-weird looking cashmere sweater to keep me comfortably warm for the rest of the winter. Fantastic job! I would have added a fake 'vest' panel in the front, but your technique makes the finished jumper more versitile. And that darn is amazing! Thanks! I love the darning stitch. I put it to lots of use with all the knits I wear (and snag). 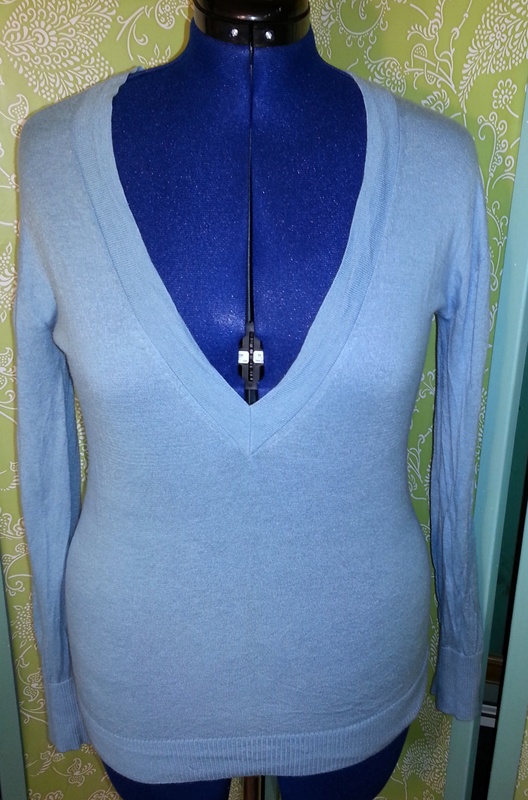 My first thought was also to sew in a panel at the neck line, but the sweater is plenty long, so I realized taking it in at the shoulder wouldn't make it too short.